iLab Factory reports photos of expected for new iPhone's. 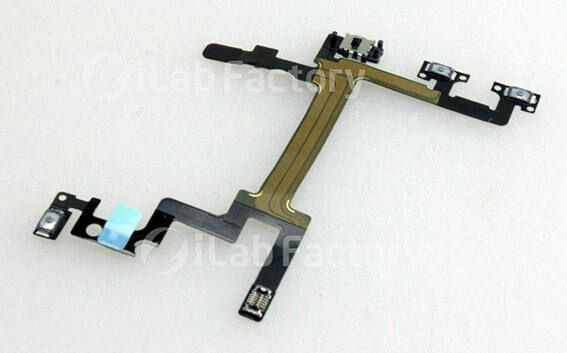 iLab Factory reported some photos of case and inside part, which are considered to be for coming new iPhone. Housing case seems to be same with photo which are reported by 9to5Mac, but Macotakara points more important thing that one of these photos shows flexible power cable, rather than outer housing images. This flexible power cable has several connectors for sound volume button, silent switch, sleep button and newer one more thing, which are placed left-top area where is opposite side of sound volume button with connecting a unknown parts or antenna. I don't have idea if this new power supplied parts should be NFC or not.